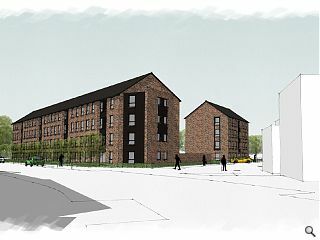 George Buchanan Architects and AS Homes have brought forward revised plans to construct 40 affordable flats at Springburn Way, two miles north of Glasgow city centre. The brownfield site was once occupied by tenements before being cleared in the 1970s for a road realignment since which it has lain as open scrubland. 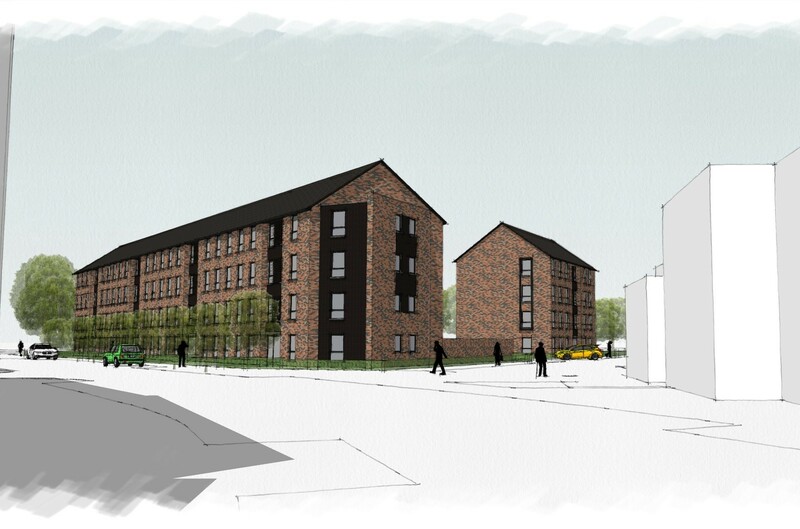 Proposals seek to re-establish a streetscape with four storey blocks fronting the south west and south east boundaries of the triangular plot with a ‘feature corner’ where they meet. Entrances will be defined by recesses to the elevation. Just wanted to ask when they might be ready. They are looking good.